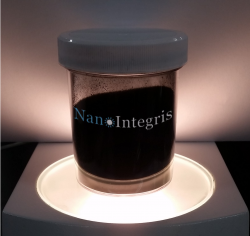 Description: Our PureWave Graphene Nanoplatelets (GNP) material is composed of thin, highly dispersible graphene nanoplatelets with very low oxygen content. The turbostratic and wavy morphology of the material leads to an unequalled ability to be dispersed in a variety of solvents and resins. 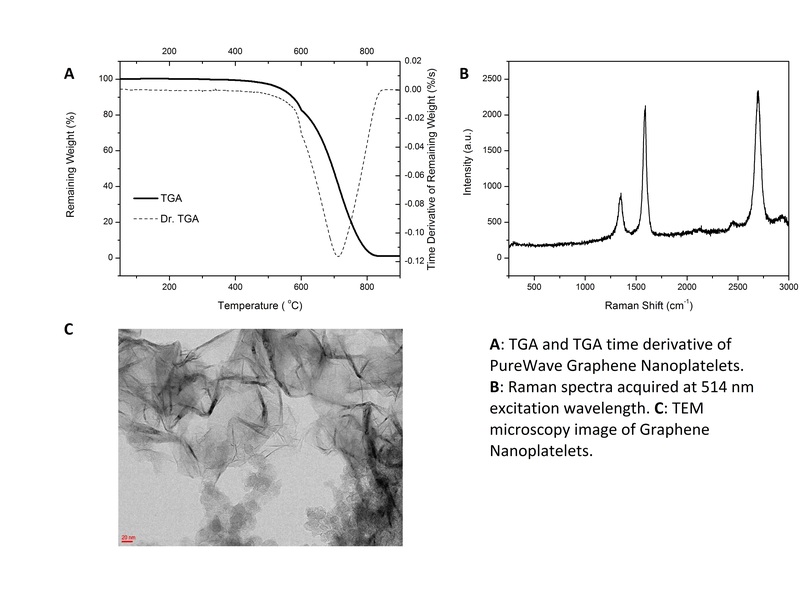 Furthermore, the unique plasma process used to grow our PureWave Graphene Nanoplatelets is easy to scale and thus produces a low cost product. 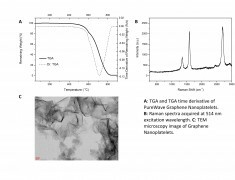 Our unique and protected growth process based on plasma enables us to produce this material at over 100 g/hour, enabling commercial graphene applications such as energy storage and conductive inks as well as elastomers and resins. Click the link to download the PureWave Graphene specifications or the safety data sheet (SDS). Large volume discounts available for large quantities. Please contact us for more information.